– giveaway – the clothes that you are not going to wear any more. You would think it’s the hardest to chose. So, to make it simpler just answer the question – What have I not worn in the last year? (of course if you missed last ski season it doesn’t mean you should throw away your ski costume). Be tough on yourself, there will always be something you’d like to leave. Remember: the more you give away the more space you have for new items. It’s not necessary to throw your stuff away. You can either give it as a charitible contribution to a church or social group or present it to your friends/relatives or even sell it or put the items in a consignment shop. – out of season – depending on where you live you have at least two and maybe the full four seasons to deal with; having clothes that are the right weight and responsive to climate is important. 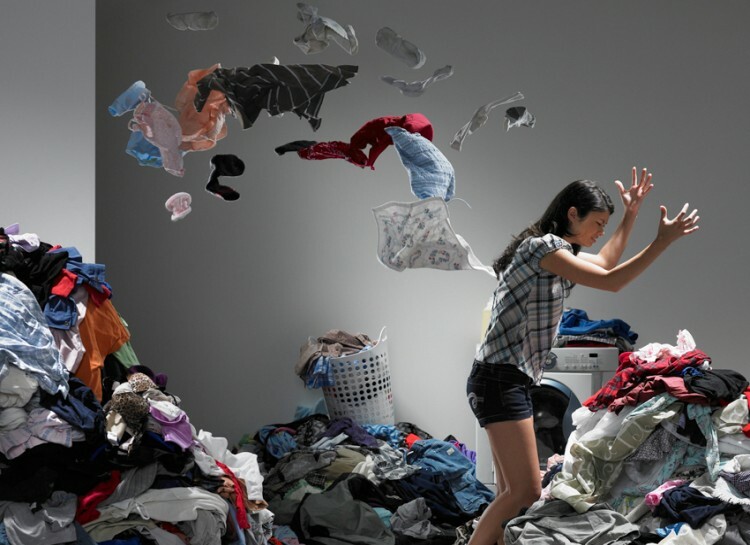 Put away all but the season of clothes that you need right now.